My Timeless Artisan Collection of candles begin with exclusive fabric and patterns that are then carefully crafted onto the glass vessels with good workmanship and workladyship. Our craftspeople are paid generously to decorate these onto glass. I have spent well over 100 hours selecting the fabrics formally and informally. This time is cached into your modest cost. All of these have good illumination, but in selecting fabrics some did not photograph the best, we suggest fabric preview if you and I feel it is necessary. Read about fabric preview below and feel free to call me if necessary. These candles are like an investment in your jewelry. You will find they renew your cherishing of them. If you think the designs are superlative you may purchase an extra design by itself to decorate on the candle at a later time. More details under Candle Accessories. Timeless Artisan Collection candles are available in the examples of glass shown below. Pillar glass comes only decorated Refillable with a refill set including two tea lights, votive glass insert. Apothecary 'Refillable' comes unfilled with refill set including two tea lights, votive glass insert, and the decorated apothecary candle glass. Tea lights burn 5+ hours indoors. We do not recommend filled refillable in our more exclusive candles because of the risk of candle glass breakage and extra cleaning details you don't have with refillable glass. We also recommend lifetime votive glass inserts for greater fire safety and longevity of your design in personal use. See Lifetime Candleglass Vessel Details below on this and fabrics. If you love candles and beautiful designs, invest in our outstanding, decorated candles assembled with or constructed from Lifetime Candle Glass©. Each Lifetime Candle Glass© can literally endure a lifetime of use if correct and proper care is applied, as they will not break under normal candle burning conditions. You get a lifetime guarantee certificate with each one purchased. Order my booklet, "Golden Ravens Graphic Arts Presents: Care of Your Lifetime Candle Glass Vessel", and your endless enjoyment and appreciation of our candles as you use and re-use them will be ensured, which covers the price of the booklet a hundred-times over! There are surprising details in this booklet about why Lifetime Candleglass is a hundred-times safer than any wax candle and most common glass candles available anywhere on the market. The booklet also tells you how to get much more use out of many candles you burn. There also are details on how you can custom scent your own candles. In essence the booklet saves you the disappointment that many people have when something beautiful they own is lost by accident. Lifetime candle glass is European not from China. You can burn candles and enjoy them for 60 plus years with 'Lifetime Candleglass Vessel' - more than 50,000 HRS-a timeless heirloom glass piece like many glass treasures in antique shops today. We have hundreds of hours into candle burning research simply and briefly explained in this small booklet. See this booklet under Candle Accessories for more refreshing honest details. You are purchasing a fabric decorated candle. They are well sewn but not perfect. There are no returns as all are custom decorated onto glass just for you. 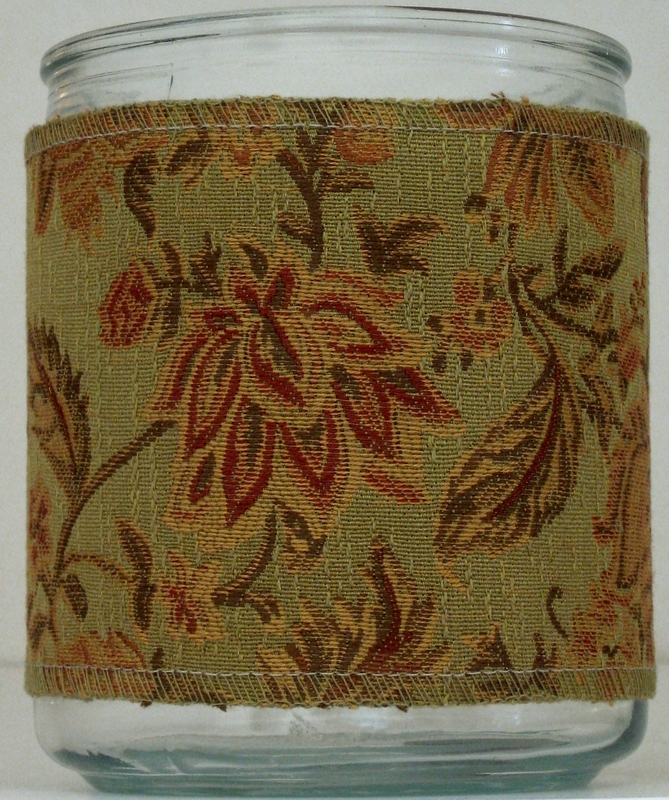 I suggest you purchase one decorated fabric candle to see what the sewing looks like on glass if that is how you feel. 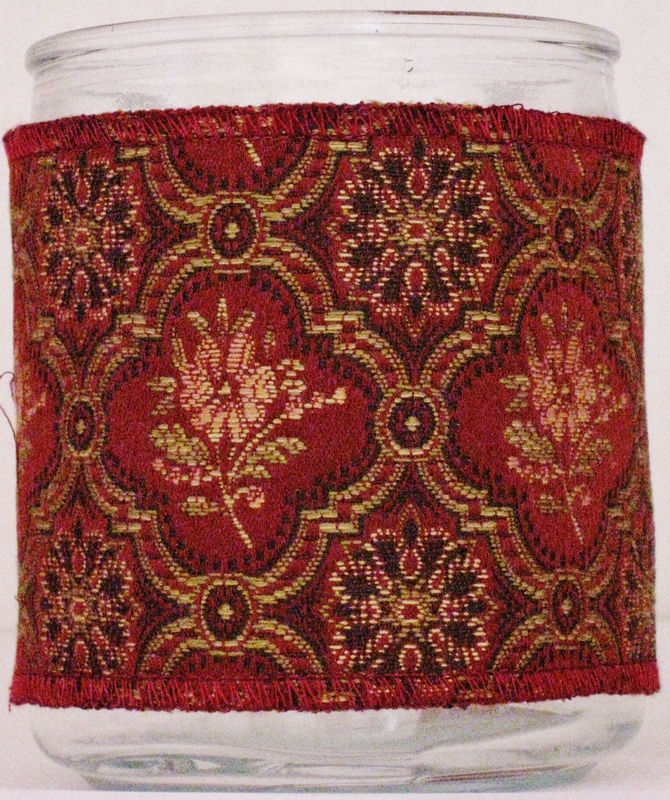 There are no refunds on fabric decorated candles, previews show exactly what the designs look like sewn. Fabric does not craft onto glass perfectly, but they are beautiful and charming, especially the Birds, which have a magical lovely illumination. Fabric decorated candles have an unique appeal. All are limited quantity in Gold Rose and Timeless Artisan subject to availability. All designs subject to prior sale.